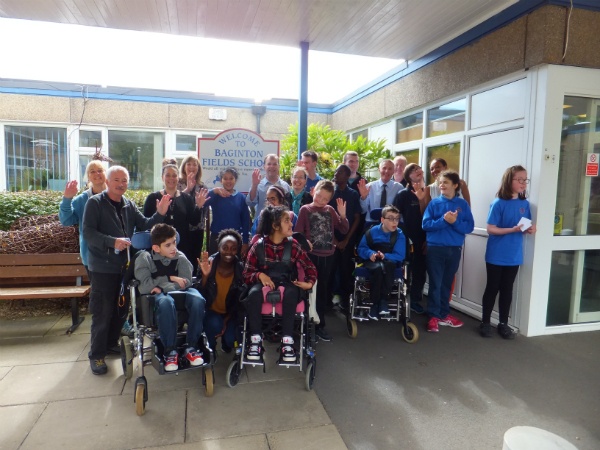 Ninety-six volunteers from the JLR Customer Service team proved that many hands make relatively light work earlier this month at Baginton Fields Special Needs School. Originally planning to overhaul eight areas of the school, the team approached the tasks with such enthusiasm - gardening, painting, restoring and cleaning - that they soon had them finished. As a result, 14 areas of the school were transformed by the end of the week, ready for the students’ return. The non-government funded school caters for secondary age pupils with varying degrees of special needs and is heavily reliant on help from the local community.